In northern Morocco the great ancient city of Volubilis is rising again and is becoming a major tourist attraction. The city that was once neglected and half-forgotten is now being opened to the public, so they can experience the amazingly well-preserved Roman ruins. 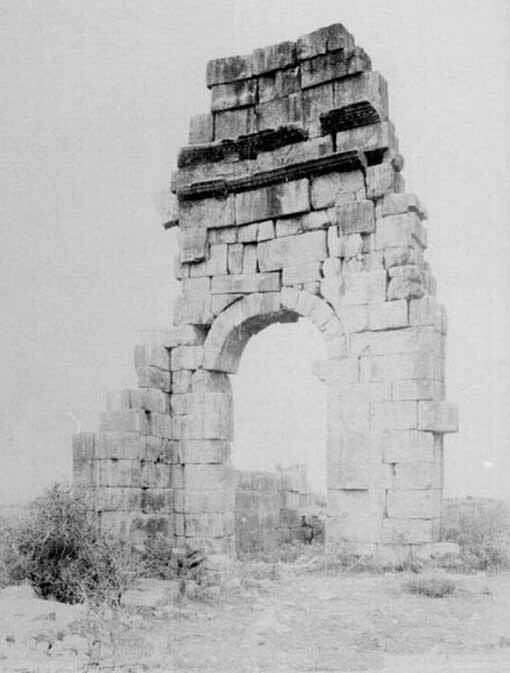 Volubilis, which is Morocco’s oldest Roman site, was in a state of decay for centuries. The government of Morocco had invested heavily in the restoration of the sprawling site and this is allowing visitors to witness the glory of Volubilis once again. The city was founded at the foot of Mount Zerhoun by local communities in the 3rd century BC. It became the capital of the Mauritanian kingdom then a client-kingdom of Rome. In the 1st century AD, Volubilis was annexed by Emperor Claudius. The city is situated in a fertile region and continued to prosper, becoming the largest urban area in this frontier region of the Roman Empire. It was populated by Romans, Berbers, and Greeks. The wealth of the city can be seen in its extensive remains and fantastic mosaics. In 285 AD, the Romans retreated from the area because of pressure from local tribes. However, the city and its diverse population remained Latin speaking and Volubilis became an important Christian city until it experienced a decline in Late Antiquity. The city did not really recover ‘its splendor until the arrival of Arab conquerors in the seventh century’ reports the Archaeology News Network . The Islamic Idrisid dynasty briefly made the city its capital in the 7th century AD. During the early years of Arab rule, Volubilis remained very important in this part of Morocco. It remained so until the 8th century AD when it was abandoned. In the 18th century, it was badly damaged by the same earthquake that laid waste to Lisbon. UNESCO listed the extensive remains of Volubilis as a World Heritage Site. The sprawling remains of the Roman city are some 40 acres (16 hectares) wide and long. It is surrounded by dense olive groves near the bustling town of Meknes. Since the 2000s, the Moroccan government has built a new museum and a visitor center in Volubilis. Gradually it has become one of the most popular historic sites in Morocco; it attracts over a quarter of a million people a year. Many of the ruins in the city are remarkably preserved. Visitors to the vast complex can ‘stroll along the main artery lined with porticoes and the remnants of vast mansions, whose mosaic floors testify to a prosperous past,’ according to the Archaeology News Network . 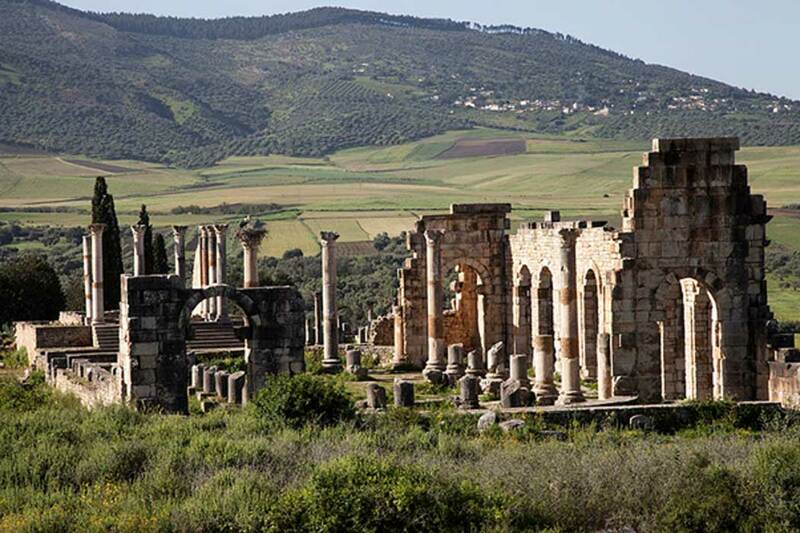 Those who visit the location can learn about Volubilis’ history at the visitor center, and marvel at some of the great artifacts that have been uncovered at the ruined city at the museum. Impressive as Volubilis is today, it has been looted extensively through the centuries. A 17th century Sultan ordered the marble columns to be removed and placed in his new palace. Only his death saved the site’s great columns and prevented the almost certain collapse of many important Roman-era buildings. Then the French began to excavate the site during WWI, but they took away many precious historic artifacts. Sadly, Volubilis has lost many of its riches because of looting, such as the infamous theft of a masterpiece of Roman sculpture depicting the God of Wine, Bacchus. Despite the many years of excavations at Volubilis there are believed to be many more treasures and artifacts to be uncovered. According to the Phnom Penh Post , “a third of the site, especially the western quarter built in the Islamic era, has not been excavated.” There are plans to investigate this area of the ruined Roman settlement in the near future. The restoration of the beautiful city of Volubilis is an on-going project which is benefiting the local economy. A growing access to, and interest in, Volubilis will allow us to understand the history of this remote part of the Roman Empire better and also give insights into the Berber, Arab, Christian, and Greek cultures of this part of North Africa.